Two years after finally being reunited, Abigail Thomson and Gideon Hawk are happily married and living in Cornwall with their children. While Gideon is busy focusing his energies on his musical career, Abi makes an unexpected discovery of old diaries dating from 1950. As she and her daughter read through them, the reasons behind Abi’s mother’s destructive actions become much clearer, and they discover a shocking sixty-year-old deception. Meanwhile, Simon Dean, the vengeful ex-drummer of Gideon’s band NightHawk, is about to make life very difficult for them all—again—and he is prepared to go to desperate lengths to achieve his goals. Having thoroughly enjoyed Storm Rising, the first book in the Nighthawk series, I didn't waste much time moving on to the second book, Rhythm of Deceit. Wow, was I not disappointed. A fellow blogger told me that she thought this was better than the first book and I thought, 'surely not' but I have to say that, taking nothing away from the fantastic Storm Rising, I have to agree with her. I thought Storm Rising was amazing but both books together make this an outstanding series. 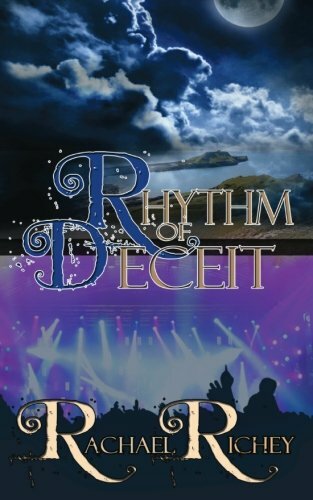 Rhythm of Deceit picks up a few years after Storm Rising, with Abi and Gideon happily married and with a new addition to their family - their little boy, Ollie. Gideon is just embarking on his solo career in London whilst Abi and Natasha remain at home with Ollie. During a visit with Abi's dad, he hands over an old suitcase belonging to Abi's mother and I think I was as excited as Natasha as my goosebumps appeared in anticipation of a family mystery to uncover. Abi's mother's story is told through old diaries belonging to her and her sister, making it so poignant and heart-breaking. I found myself trying to read quicker through Abi's chapters just so I could find out what happened to Joan and Pauline, but nothing could have prepared me for the ending to their story. It's simply brilliant and I'm not going to reveal any spoilers, but you really must read it for yourself. In between chapters uncovering Joan and Pauline's story in the 1950's, are chapters from the present day, with Gideon's ex-bandmate, Simon, trying his very best to break up Abi and Gideon. Simon is such a repugnant, shady character - he is certainly the character I loved to hate. He's completely dastardly but so deluded, making him increasingly dangerous. As the ending of the book approached, my heart was racing as Simon's net closed in - and I braced myself for an explosive ending, as I wondered if it would all end in tears. With such likeable and colourful characters, Rachael Richey has created a series that is an absolute winner. I'm really looking forward to Book 3, Cobwebs in the Dark, to see what is next in store for Abi and Gideon. Through Rachael's wonderfully eloquent and emotional writing, I've definitely become a big fan of Nighthawk! It's not simply chick lit - with so many twists, excitement and danger it's pure rock-chick lit.